The animal was snapped by Google’s cameras at Coe Fen, Cambridge, and seemingly given the same treatment humans receive for privacy reasons. A tweet by The Guardian’s David Shariatmadari highlighting the sight was retweeted more than 9,000 times. Google admitted its face-blurring technology had been “a little overzealous”. 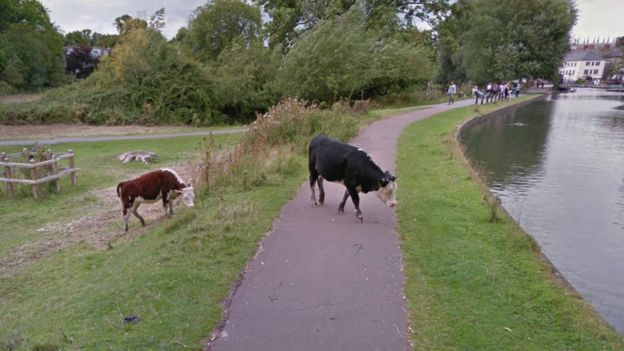 The animal’s face can clearly be seen grazing near the river River Cam on an image taken slightly further away, but Google seems to have blurred it for a close-up view. 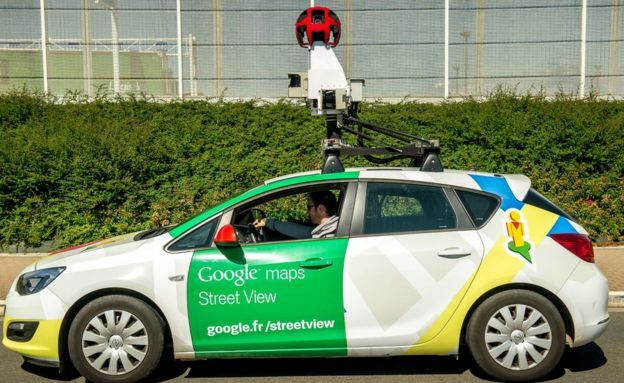 Google’s Street View launched in 2007 and received widespread media coverage as cars mounted with cameras mapped streets around the world. To help combat privacy concerns, software is used to automatically blur human faces. Mr Shariatmadari spotted the bovine anomaly and posted it on Twitter, saying it was “great to see Google takes cow privacy seriously”. “Udderly ridiculous,” said one user in reply. “Google teat view,” said another. It has also been reported by the Cambridge News and national media. So far the tweet has been liked more than 12,000 times. A spokesman for Google said: “We thought you were pulling the udder one when we herd the moos, but it’s clear that our automatic face-blurring technology has been a little overzealous.